Jarvis Landry ran much farther than his 50-yard catch would indicate. 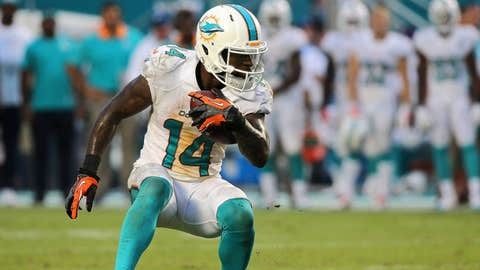 By now, most people have probably seen Jarvis Landry’s incredible 50-yard touchdown reception against the Houston Texans on Sunday. After hauling in the pass on the left sideline, Landry took the ball and went all the way across the field to the opposite sideline and made his way into the end zone. It wen’t for a 50-yard score, but Landry ran much farther than that number indicates. Thanks to Next Gen Stats, this video reveals that Landry actually ran 109 yards on the play, which is an absurd amount. Landry does most of his work from the slot, so he has the ability to work both sides of the field unlike boundary receivers on most occasions. And clearly, it showed on this play where he covered 109 yards on a 50-yard catch. He’s quickly become one of the top slot receivers in the NFL.